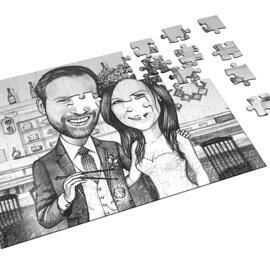 Upload your best wedding photo and get from it an amazing Caricature, hand-drawn in monochrome style by pencils, based on your ideas and requirements. 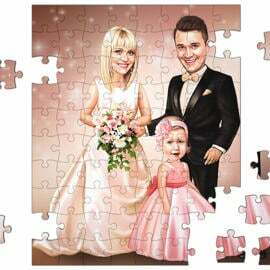 Wedding caricature from photo will make an incredible gift for your parents or friends who are in a happy marriage independently of how many years. 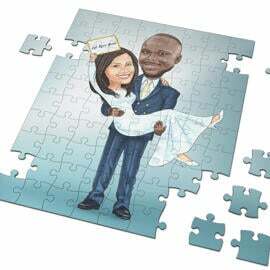 We would like to gift the recipients some of incredible memories of wedding ceremony and young life from their ready-made caricature. 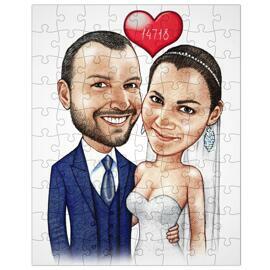 We can draw a bridal pair in wedding suit and dress as they were many years ago standing hand by hand, which will also make this caricature as personalized wedding anniversary gift as nothing other painting art will. Ordering is simple. Mention all of your ideas below and upload photographs which we have to depict by pencil, creating one of the most amazing wedding caricature for you. 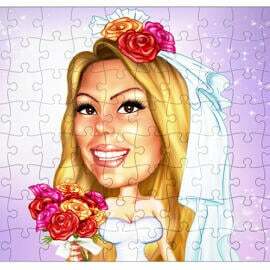 Wedding caricature will be delivered as a ready-to-be-printed JPG File to your Email by default. 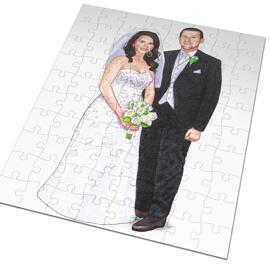 Additional delivery options at extra cost: Caricature printed on Canvas or Photo Paper of multiple sizes. 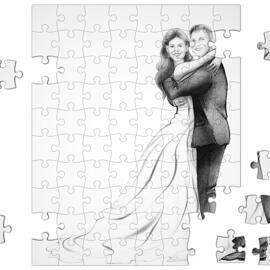 original Pencil Wedding Caricature drawn on A4 or A3 Paper. Worldwide shipping is available for each item.